Planting is not as easy as it appears; use the tips and techniques here – follow Mother Nature’s rules for your best garden ever. Most people wait anxiously and in high anticipation for the May 23rd long weekend – planting their garden all in a few hours whatever the weather – hoping for hot, brilliant sunshine. A few weeks later, they look forlornly at their weedy, pathetic garden, with pouting tomatoes, balking or bolting spinach, and dying roses. Mother Nature’s planting instructions are simple – don’t plant on the hottest day possible, when the stomata of the plants leaves are wide open, and you rip off crucially important roots and jam the plant into dry soil. Use the common sense approach – the best days for spring planting are warm, but a little muggy and overcast, with showers in the forecast. It’s even better if the ground is damp from a few days rain beforehand. The soil is warm, the air is warm and moist, and the plants stand a far better chance of acclimating to the stress of being planted before the weather turns hot. If it's too warm for planting in the daytime I plant in the late afternoon or evening, once the bed is in the shade. This gives the seedlings a chance to acclimate to their new surroundings before morning. Give each transplant a little shade by putting a leafy twig in front of it. By the time the leaves wither and dry up the seedling will be 'hardened off' and adjusted to the harsh sunlight. Prepare your soil ahead of time, and then allow the weeds to emerge before you plant. It’s easy to scrape the weeds off while they’re small, and you don’t have to avoid damaging your carefully planted crops. This 'dirty bed' technique, as it’s called, saves time and effort in the long run. 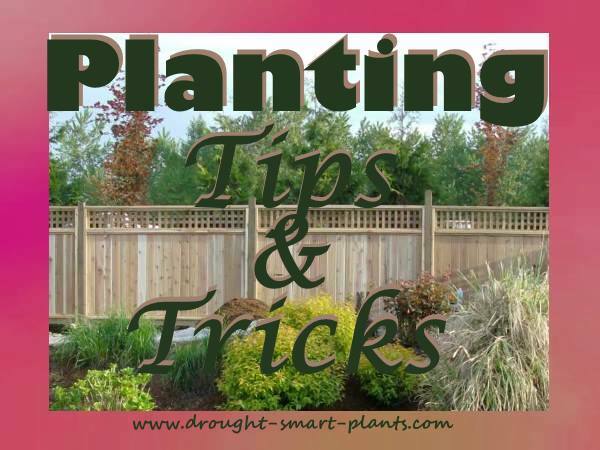 Water the soil, or plant after a good soaking rain. It’s amazing how much water it really takes to wet the whole soil column. Dig down a few centimeters to check if you don’t believe me – even after what seems to be a sustained soaking from the hose it can still be dry under the top moist soil. Drought tolerance in plants depends on getting roots down as far and as fast as possible after planting and before drought really sets in. Watering techniques are very important so making absolutely sure that the soil is wet right through before planting is crucial to the success of your garden. Water the soil once, move onto another task, or continue watering in other areas, then go back and water again. After watering very well, check to see what happened and if necessary, water yet one more time. Mulch sensitive crops such as tomatoes, squash and peppers with chicken pen compost and yes, water again. Plant at the same depth of the stem as much as possible. Exceptions to this are with tomatoes, which many successful gardeners bury up to the first set of leaves as the stem will form more roots. Look at the base of the stem of many tomato plants and you’ll see little bumps called ‘adventitious roots’. Once in contact with the damp soil, these will sprout into more roots, giving the plant more sustenance, as well as better anchoring for wind resistance. When planting a seedling or cutting that's growing in a plug or small pot, sometimes the roots will reach the bottom, curl around and then the plant becomes completely root bound. Never plant something that's root bound, as you'll wonder why it never thrives, and upon further investigation and exhumation, the roots never broke out of their strangle hold. Cut the bottom of the root ball or at least score it with a knife to allow the roots to make more hair roots out of the cut areas. If the roots are really long, either cut them off or dig a really deep hole to fit the roots into. I usually put the plant in deeply, fill with some loose soil, then gently pull the plant up to the proper level before tamping the soil around it. Never 'j' the roots, as any roots sticking up out of the soil surface will act as a wick, completely drying the plant out before it has a chance to make new roots. Once you have planted a few plants, go back and water well. Don’t wait until you’ve finished the whole five hectares before you water. Do it in sections so nothing has a chance to dry out too much. If the day is bright, cover the newly planted plants with newspaper, row cover or shade cloth. Water again before nightfall, and in the morning all your plants will be perky and ready to grow. Mulching is a beneficial practice to conserve moisture in the soil, prevent the germination of weeds seeds, smother weeds already actively growing, and provide a small amount of nutrition depending on the type of mulch you use. Best mulches are compost, chopped leaves, wood products such as bark, lava rock, pebbles or other organic material such as cocoa husks or chipped wood. Find a good local source of abundant waste material to use as mulch. Old hay or chicken pen compost which has been turned and blended by your chickens is great, especially if they have a chance to clean up any germinating weed seeds. Also consider fall planting, as the ground is still warm, even though the air may be cooling in the longer nights of autumn. The October rains that may be a common occurrence in your area will supply free water to the newly planted perennials, shrubs and winter vegetables, enabling great root growth even though the tops of the plants may be going dormant. This gives a huge advantage in getting plants established to grow with vigor the following spring. No, it's not a contradiction; you can have low maintenance, low water requiring gardens, with color, texture and beauty. Utilizing Drought Smart Plants that are beautiful, require minimal irrigation and hardy gives you a wide palette to choose from for your xeric garden.